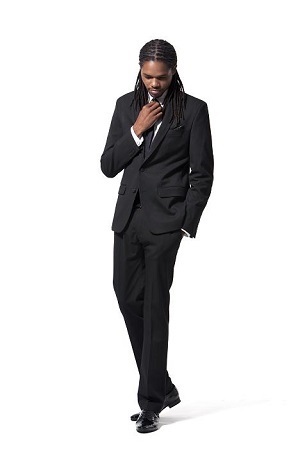 Landau Eugene Murphy Jr. is the soul and Sinatra-singing season six winner of NBC TV’s “America’s Got Talent." The former car washer's Columbia Records debut album produced by Grammy winner Steve Tyrell spent six weeks at #1 on the Billboard Jazz chart. Landau's follow-up holiday CD “Christmas Made For Two” raised thousands for the Children’s Home Society of West Virginia and received nationwide airplay including Sirius/XM’s “Holly” channel. Landau’s self-titled third album was recorded at the famed Capitol Records studios in Hollywood, CA where Sinatra recorded some of his signature classics. Landau has performed dozens of sold out concerts around the world, headlining at Caesars Palace in Las Vegas, the Apollo Theater in New York, The Grove in Hollywood (for Tina Sinatra), the Fountainbleu in Miami Beach, with the Boston Pops Symphony Orchestra, at the Mercedes Benz Arena in Shanghai China, and for U.S. troops stationed across Europe. His memoir “From Washing Cars To Hollywood Star” was an Amazon #1 bestseller in the Jazz Books category, and a Readers' Favorite Award winner. Landau has been honored to perform with living legends including Patti Labelle, George Benson, and former members of the Temptations, Platters and Drifters. He has appeared on CNN, HLN, The Today Show, Fox and Friends, Tom Joyner, Access Hollywood, Entertainment Tonight, Wendy Williams, and dozens other other top media outlets. Landau currently serves on the Board of Directors for the Children’s Home Society of West Virginia, where he worked as a volunteer for many years prior to winning America’s Got Talent. He gives back on a regular basis by donating his time and resources to a variety of other charitable causes and organizations, many in his home state of West Virginia. Groups he has supported include the Appalachian Children’s Chorus, the West Virginia Music Hall of Fame, Walking Miracles, The Drug Free All Stars basketball team, March of Dimes, Diabetes Prevention, the West Virginia Affordable Housing Act, the Southern Leadership Conference, the Salvation Army, Veteran’s Administration, an Armed Forces Entertainment tour of Germany for U.S. troops stationed there, the Musical Arts Guild, Shriners Hospital, React Children’s Hospital, the Jewish Community Center of Pittsburgh, HospiceCare, Honor Flight, the United Way, and dozens of food banks, toy drives and senior center visits. In 2014, Landau was named one of the United States Jaycees Ten Outstanding Young Americans.